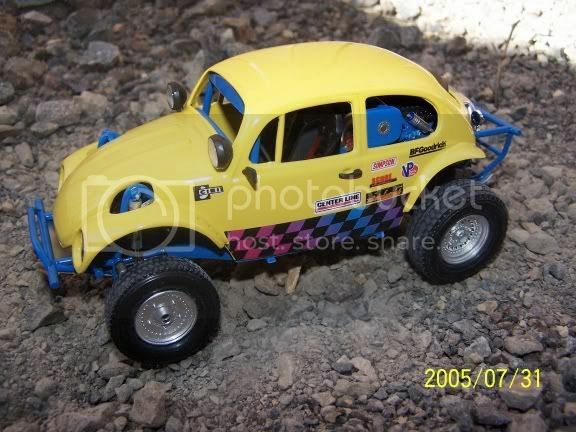 AzBaja.com, Home of the VW Baja Bug -:- Baja Forums -:- VW Volkswagen Bug, Baja, Bus, Sandrail and Thing -:- VW Volkswagen & Baja Bug General Discussion -:- anyone like model car bajas? 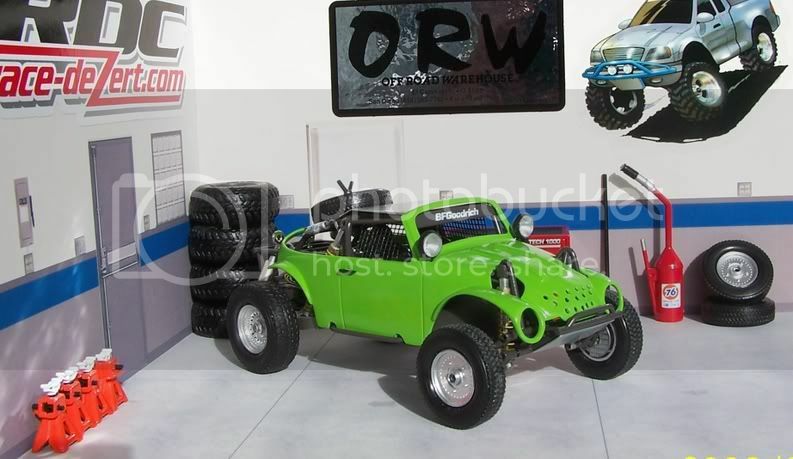 Baja Forums -:- VW Volkswagen Bug, Baja, Bus, Sandrail and Thing -:- VW Volkswagen & Baja Bug General Discussion -:- anyone like model car bajas? Post subject: anyone like model car bajas? Here are a couple baja style models I have built from regular VW model kits and scratch built chassis and other things.1/24 -1/25 scale. I just finished the "Thing"
Post subject: Re: anyone like model car bajas? Anything with a name in those pictures has been through licensing for the company to issue the decals. It's a joke. It looks like Eric's Baja. I only saw the first one before. cool baja's, if you like bulding and fabricating scale models of cars you should get into rc cars. forgot to mention, there's nitro powered(has a real engine)rc cars. I saw you put pic's of these in the chirco photo gallery. These are very cool!! those bead lockers look really cool on that thing!! what engine does that thing got in it? are you selling them ? and if you are how much ? Those bead locks,wide 5 pattern centerlines and the bfg's are going to be for sale in resin. You will have to paint the parts. Also I am gonna master a Baja body similar to the yellow one so people could build there own from a revell street VW kit. I am working with a guy who will do the casting and sell the stuff.I am only doing the master body for him. Will have higher cut fenders on the rear. Hopefully he can cast it? The motor is a honda VTec 4 like they use in the class 10 cars. On the R/C question: Been to that movie. I just build these for the challenge and love of the subject.I like to think of it as an art.LOL! the suspension on these models looks great, is the car solid or do they have working suspension? [ Go to page: 1 ...	7, 8, 9	] 133 Mykul 154832 New to Bajas? New Members New to bajas from Vt. 14 vtbaja 10858 New to bajas from Vt.